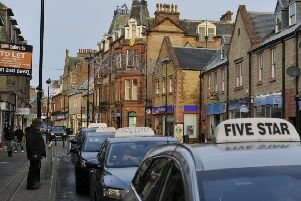 Houses in Winchester Row and Roxburgh Street were broken into overnight on Saturday, April 13, and properties in Jedburgh Road were targeted in the early hours of Monday, April 15. Burglars are believed to have entered properties through windows. One householder whose home was broken into on Saturday said: “Most, if not all, the houses had sash-and-case windows, all with screw driver holes in and the window forced up and latch broken. Inspector Jacqi McGuigan, Police Scotland’s deputy area commander for the Borders, said: “We’re aware of a number of break-ins and attempted break-ins to homes in Kelso over the weekend, which are currently being treated as linked. “Although nothing of significant or sentimental value seems to have been stolen, we know that having your home broken into can be extremely distressing, and I want to reassure the local community that robust inquiries are currently under way. “The public are urged to remain vigilant and take all possible precautions to safeguard their homes and property. Always ensure that doors and windows are locked on an evening and consider investing in simple security measures, such as motion lighting. Information about the burglaries can be reported to police on 101 or Crimestoppers on 0800 555111.